For our Greatest Generation, the Second World War was absolutely defining. Life, culture, and innocence were lost on a scale so grand that it is a wonder to know that anything survived at all. My own grandmother and her parents left Paris in 1939, never to return. I often think about how different her life would have been, had they stayed. But despite spending the last 76 years tucked safely away in American suburbia, the injustice wreaked on her homeland still boils in her blood. 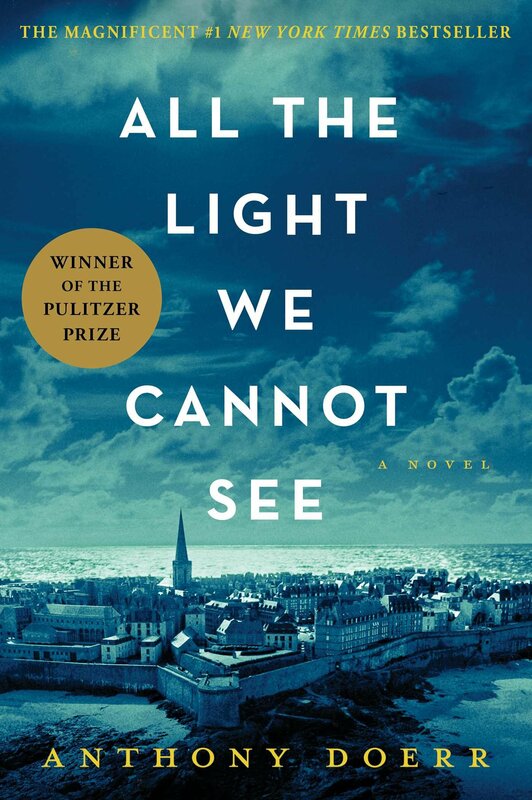 Marie-Laure, the young, blind protagonist of Anthony Doerr’s Pulitzer Prize winning novel, All the Light We Cannot See, also flees Paris on the eve of the Nazi invasion, with only her father, her cane, and a 133-carat diamond. The stories of Marie-Laure and her newfound family persevering within the ancient, sea-sprayed ramparts of Saint-Malo; of Werner and Jutta, towheaded, precocious orphans yearning to escape their colorless German coal town and entranced by a mysterious children’s radio program; of a dying sergeant major hell-bent on claiming the world’s treasures for his führer; of stargazing Hitler Youth, and resistant bakers’ wives, and old and young lives severed by violence; all intertwine in a tapestry of language, love, and light that will leave you wishing Doerr had written just one more beautiful chapter. As the war’s last survivors approach the twilight of their years, this book is an enchanting reminder of all that they lost, and all that we continue to live for. I hope you enjoy it as much as I did. Happy reading! Glad to hear that you enjoyed it. Hope to be reading it soon!